In the global research community, English has become the main language of scholarly publishing in many disciplines. At the same time, online machine translation systems have become increasingly easy to access and use. Is this a researcher’s match made in heaven, or the road to publication perdition? 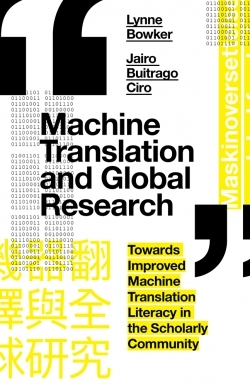 Here Lynne Bowker and Jairo Buitrago Ciro introduce the concept of machine translation literacy, a new kind of literacy for scholars and librarians in the digital age. For scholars, they explain how machine translation works, how it is (or could be) used for scholarly communication, and how both native and non-native English-speakers can write in a translation-friendly way in order to harness its potential. Native English speakers can continue to write in English, but expand the global reach of their research by making it easier for their peers around the world to access and understand their works, while non-native English speakers can write in their mother tongues, but leverage machine translation technology to help them produce draft publications in English. For academic librarians, the authors provide a framework for supporting researchers in all disciplines as they grapple with producing translation-friendly texts and using machine translation for scholarly communication—a form of support that will only become more important as campuses become increasingly international and as universities continue to strive to excel on the global stage. 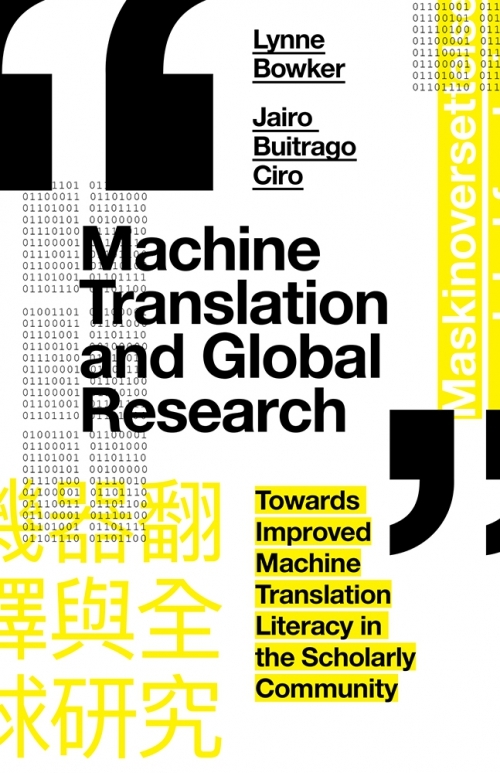 Machine Translation and Global Research is a must-read for scientists, researchers, students, and librarians eager to maximize the global reach and impact of any form of scholarly work. Lynne Bowker holds a PhD in Language Engineering from the University of Manchester Institute of Science and Technology in the United Kingdom. She is a full professor at the University of Ottawa in Canada, where she holds a cross-appointment between the School of Translation and Interpretation and the School of Information Studies. She is the author of Computer-Aided Translation Technology (2002, University of Ottawa Press) and co-author, with Jennifer Pearson, of Working with Specialized Language: A Practical Guide to Using Corpora (2002, Routledge). Her research has been recognized with awards from the Association for Information Science & Technology, the Association for Library and Information Science Education, the Canadian Association for Information Science, and the Canadian Association for Translation Studies. Jairo Buitrago Ciro holds an ALA-accredited Master of Information Studies from the University of Ottawa in Canada. He has previously worked as an academic librarian at the Université du Québec en Outaouais in Canada, and as the director of the library at the Universidad Simón Bolívar in Colombia. He is currently pursuing a doctorate in Electronic Business at the University of Ottawa.